Meridian Miniatures has unlocked their Divers over in their Interdimensional Bestiary Kickstarter campaign. Along with that, they've posted up the preview rules for William Scorsby III. Great stuff everyone, lot's of backers over night too, welcome aboard you guys! The divers are now unlocked as add ons for £10. As they're not freebies anyone can add them to their pledge, just go to "manage my pledge" and add multiples of £10 per five man pack that you'd like. 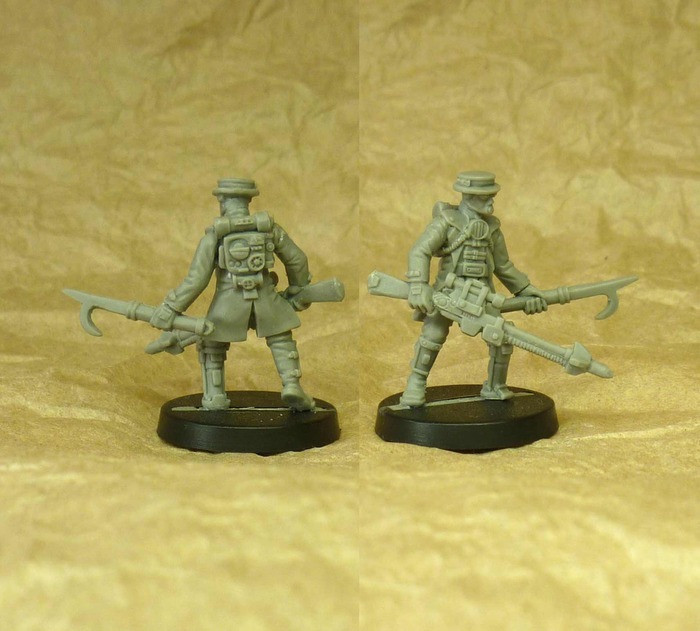 These figures are extensive reworks of my original Steam punk infantry models (including one pose that never made it to production!) and will never be cast again after the campaign so this is the only way that you'll be able to buy them. If you think that your friends might want them then please let them know.